The quintessential American epic, Gone With the Wind sweeps across the Old South, the Civil War and Reconstruction. The tale of a selfish, headstrong Southern belle who draws her strength from the land, it’s a sumptuous costume drama and a richly entertaining movie. By today’s standards, Gone With the Wind occasionally lapses into outright melodrama, and its often-stereotypical 1939 portrayal of black people rankles modern viewers. Despite the flaws of its time, this star-studded, big-budget spectacular is an icon of American filmmaking, and not to be missed. The film is quite faithful to Margaret Mitchell’s blockbuster best-seller and follows the adventures of Scarlett O’Hara (Vivien Leigh in her debut role). Stunningly beautiful and utterly self-absorbed, Scarlett is the daughter of plantation owner Gerald O’Hara, and secretly in love with neighboring plantation owner Ashley Wilkes (Leslie Howard). Ashley meanwhile is pledged to his sweet-tempered and lovely cousin, Melanie (Olivia De Havilland). The movie opens with a flowery description of the Old South as the place where “gallantry took its last bow,” and “a dream remembered, a civilization gone with the wind.” On the eve of the Civil War, the wealthy families gather for a party at the Wilkes’ plantation, Seven Oaks, where Scarlett first catches sight of Rhett Butler (Clark Gable). This rakish and slightly disreputable gentleman is clearly interested in the pampered southern belle – and the only man there who understands the North will overpower the South in the conflict to come. And that very night, war is declared. Rejected by Ashley, Scarlett impulsively marries Melanie’s brother, Charles, tying the two families together before Charles goes off to war (where he promptly dies of pneumonia). We follow the indomitable Scarlett through the ravages of war, her reluctant protection of Melanie, the fall of Atlanta, the ruin of Tara and near-starvation. Then it’s another marriage and her plucky and scandalous behavior during Reconstruction. She relies on Rhett throughout – but continues to reject him and cling stubbornly to her belief that she loves Ashley. Leigh didn’t land the role until after filming had begun – in fact, she signed on the day the famous burning of Atlanta was filmed, using an actual conflagration of old sets on the studio’s back lots. (A stunt woman played Scarlett in the fire scenes.) The young English actress was an excellent choice for the selfish, scheming Scarlett, a delicate beauty with a will of iron. She’s hard to like, but she must be admired. Gable is irresistible as the rake with a heart of gold and his own admirable code of honor. His confidence and easy masculinity so far overshadow the pale attractions of Ashley Wilkes that Scarlett’s continued devotion strains credulity. De Havilland is strong as the almost too-saintly Melanie, and Howard is just the right sort of weak tea as Ashley. Hattie McDaniel almost walks away with the movie as Mammy, the family servant who sees through Scarlett’s schemes and has more life and zest in her little finger than half the genteel household. She was the first African American nominated for an Oscar and the first to win one, as Best Supporting Actress. By contrast, Butterfly McQueen’s squeaky-voiced turn as the simple-minded Prissy has become the stuff of parody, especially her “I don’t know nuthin’ ‘bout birthin’ no babies” line. With more than 50 speaking roles, keeping all the characters straight is a daunting task, but the huge cast adds to the scope of the story. The lush score by Max Steiner, detailed sets and sumptuous costumes, superb art direction, and gorgeous Technicolor cinematography by Ernest Haller round out the sweep of this epic film. 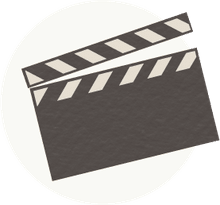 Years in the making, at $4 million it was one of the most expensive films ever made, and it held the record as the highest-grossing movie for many years. 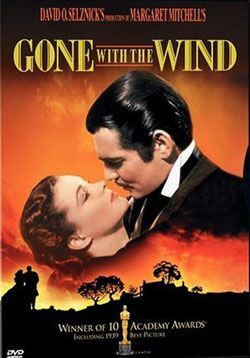 Although that record has since been eclipsed, Gone With the Wind is still the box office champ for most theater tickets sold. It won the Best Picture Oscar in one of the most creatively competitive years ever seen in Hollywood. Other movies released in 1939 included Ninotchka, Stagecoach, Wuthering Heights and Goodbye Mr. Chips. Incredibly, the former stunt man who directed Gone with the Wind, Victor Fleming, is also credited with the other immortal classic released in 1939: The Wizard of Oz. It’s a little overblown, with attitudes that are more than a little dated, yet Gone with the Wind is justly famous. Mostly for the better, and sometimes for worse, this epic movie is a uniquely American story.